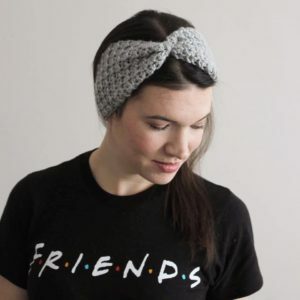 Welcome and hello, let me introduced myself , my name is Valérie and I’m a twenty-something mom, wife, vegan, historian, geek, Netflix addict crocheter. As you can tell by my name, I’m french speaking (sorry in advance for the mistakes I’ll probably make) and I live in Montréal (Québec, Canada). I was born in the suburbs of Montréal and lived there for the first 22 years of my life and moved to the city when I got married in 2013. Since then I’ve become a cat mom, even if I’m more of a dog person, a real mom of the most wonderful little girl born in 2016 and I have finished university (BA in History , certificate in american studies and a higher diploma in education). I am currently a stay-at-home mom with my toddler and I spend most of my day playing with my daughter, eating and of course crocheting. I’ve started crochet about 4 years ago, but it really became a big part of my life when I was pregnant. Probably my nesting phase pushed me to make my baby cute hats, blankets and cuddlers. Since then I have crochet almost every day and every time I fell more and more in love with this art. I love creating pretty things with a piece of yarn, it’s amazing ! As you’ll see on this blog I love as much making my own patterns than trying some other talented designers patterns. I hope you’ll enjoy my designs, my opinion and vision of the rest of the crochet world and some bits and pieces of my life and other interest in the messy blog.